Patients with rare diseases face a number of challenges including delays in diagnosis, difficulty locating information and resources related to their condition, and a lack of therapeutic options. While millions worldwide are affected by such diseases, each condition itself may only affect a few thousand or a few hundred patients worldwide. These factors combine to create barriers to access that may seem insurmountable to physicians and their patients. Global access programmes help overcome these barriers. These programmes, known by various names including compassionate use, named patient, expanded access and early access, provide a mechanism by which patients with rare diseases are able to access medicines that would otherwise be unavailable. For rare and orphan diseases, these programmes can facilitate access to medicines that are in clinical development, are unlicensed in a specific market but licensed elsewhere, or are under assessment in the marketing authorisation application (MAA) process. Importantly, through a global access programme, patients can access an orphan drug that may never be commercially available in their home country or can gain access to a medicine outside the structure of a formal clinical trial. It is clear that these programmes can positively impact patients and provide a critically important solution for their treating physicians. For example, the former French Health Products Safety Agency (now the National Security Agency of Medicines and Health Products, ANSM) reported that by 2007, more than 20,000 patients had been treated with over 200 products under the compassionate use legislation introduced in 1994. Regulations governing this type of access are typically established by local competent authorities and define the parameters by which access can be established and how programmes must operate. 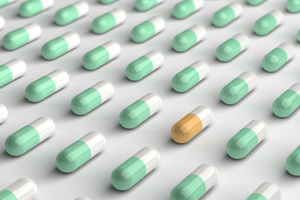 Unlike regulations governing the clinical trial process, which are very structured, the regulations related to unlicensed medicines can vary considerably from country to country. The result is a complicated regulatory environment that requires expert advice from a specialist partner at the set-up and planning phase of any programme. • Increase transparency between member states in terms of treatment availability. This regulation, however, is interpreted in national law in very different ways in each of the member states. In 2010 the European Clinical Research Infrastructures Network (ECRIN) published results of a survey on the regulatory requirements of compassionate use programmes. The results demonstrated the range of different requirements adopted by each of the countries, clearly showing that 'compassionate use' is not interpreted in the same way across Europe. The authors concluded that “there are more differences than similarities in 'compassionate use' programmes in Europe”. Adding to the complexity created by country-specific regulations are inconsistencies in the way in which the process can be governed on a national level, with national agency opinions sometimes varying according to the particular assessor involved. Given the myriad rules and regulations, as well as nuances in their interpretation, it is important for a company to have a thorough understanding of what is permitted in each country in which an access programme will operate. For countries with well-established programmes such as the US, UK and France, the rules are clear. However, in those geographies where programme parameters are not firmly defined or are evolving, setting up a programme can be challenging and simply identifying the established legislation is not enough, as exceptions are often possible and the practicalities of local import processes also need to be well understood. An additional point to consider is that it is an evolving landscape. Countries with long-standing regulations may update their rules in an effort to clarify regulations and improve the facilitation of access. Regulations in the US, for example, were clarified by the FDA in 2009 when new types of access for treatment use were added to ensure 'broad and equitable access to investigational drugs for treatment'. Some countries with very basic regulations or no established supply routes are strengthening or establishing routes to access. In some cases, this evolution in regulation is being driven in response to pressure from patients themselves as well as advocacy groups. Changes are not always quickly implemented however, not only due to local bureaucracy and political procedures but also because care must be taken to ensure that access to unlicensed drugs remains in the best interests of patients and their supply is not open to misuse. Despite the varied and evolving regulations surrounding global access programmes, pharmaceutical and biotech companies should not be deterred from implementing a programme when the need is clear. As a first step, a company will need to identify where there might be interest for the product in the absence of a viable alternative treatment. As a new drug progresses through the clinical trial process, unsolicited requests may be received, especially if the drug represents a breakthrough therapeutic option for a rare disease or condition. Combining this information with market research can help define the appropriate geographic reach for a programme. To minimise exposure to risk and help ensure success, a pharmaceutical company should consider partnering with a specialist to augment internal knowledge and understanding before embarking on a global access programme. A major role of a specialist partner is to work with clients to advise them of the regulatory environment in each country, which countries can be accessed quickly and which ones might take more time, as well as to engage with the relevant authorities. Regulations can define if a company can charge for the product and this can be an important point of discussion when developing the scope of a programme. Details such as the time and resources needed to gain regulatory approval, the proposed indications, the number of patients to be treated, the need for a local wholesaler or agent and the applicable import regulations also need to be considered and planned for ahead of time. Where the drug resides in the product lifecycle is also an important factor in determining the possible routes for unlicensed supply. How available the product is in the marketplace, if it is licensed elsewhere and if clinical studies are complete can all affect the way in which a drug can be imported, if at all. Where they exist, regulations governing patient access outside clinical trials and commercial supply provide much needed structure and guidance in an area that, in general, is poorly understood. Combined with an in-depth understanding of nuances and local best practices, a robust global access programme can be effectively established and implemented. Not only do such programmes afford companies the opportunity to meet ethical obligations and goals but they can also offer those battling rare diseases a potentially life-saving or life-extending treatment option, ahead of its commercial availability. In addition, global access programmes are highly effective in helping foster positive relationships with key opinion leaders and treatment centres, as well as providing an opportunity to gather limited yet valuable information of the use of a drug in a wider population.